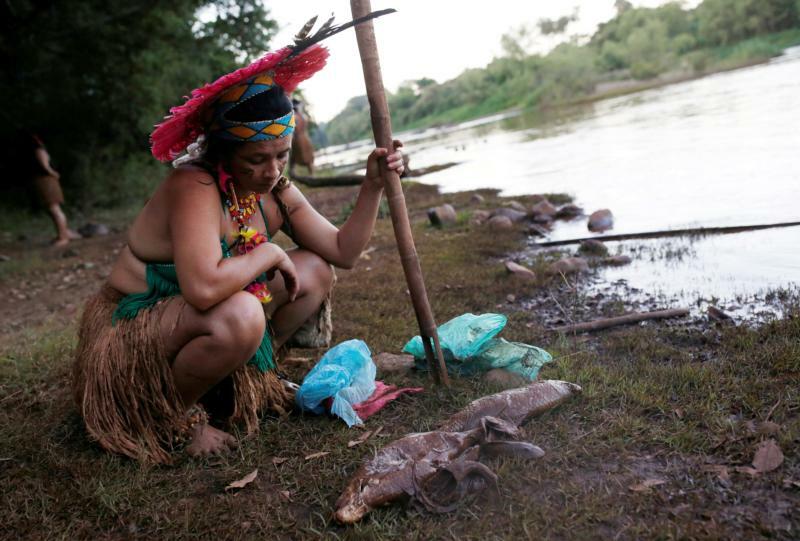 ROME (CNS) — Left unchecked, unbridled greed and a thirst for profit leads down a slippery slope that endangers the earth and all who live on it, especially indigenous populations, a Vatican official said. Msgr. Fernando Chica Arellano, the Vatican’s permanent observer to the U.N. Food and Agriculture Organization, the International Fund for Agricultural Development, and the World Food Program, called on world leaders to make human beings, and not material gain, as their primary concern. “If this priority is not clear, we will leave withered lands, depleted seas, polluted air, wastelands where beautiful orchards used to flourish as an inheritance to future generations,” Msgr. Chica said Feb. 13 at the Fourth Global Meeting of the Indigenous Peoples’ Forum. Humankind, he added, must realize that defending the common home has “no purpose other than the defense of life,” and the earth “is not a consequence of our strategy or our calculations” but a gift from God. However, the emphasis placed on the consumption of goods has hindered “personal and religious development in many cases,” Msgr. Chica said. The problems affecting the world today, he added, need concrete action that is often hindered by rhetoric and selfishness that “blinds our soul” to the sufferings of others.